Libra symbolizes judgment based on weight. Earthly crimes are judged based on man’s law. Spiritual crimes, which we call sin, are judged based on God’s law. According to Romans 6, sin puts us into debt, but this debt is paid for by Jesus Christ. The names of the stars Zuben al Genubi and Zuben al Chemali mean that a debt has been paid. The decan called Crux means Cross, which is the method by which Jesus died. The decan Lupus means victim. The ancient civilization of Phoenicia named this victim Harpocrates, which Romans later called the god of submission. In some images, the victim has a horn of a goat. Sometimes, this horn was detached and filled with fruits, which is where the original cornucopia comes from (image below). The cornucopia is a symbol of the horn of plenty, which signifies that blessings will come out of submission and sacrifice. 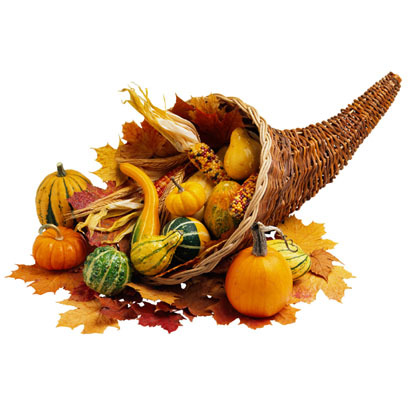 Today in America, the cornucopia is associated with Thanksgiving.